Rimsky-Korsakov belonged to that group of Russian nationalist composers known as "The Five," consisting of Balakirev, Cui, Borodin, and Mussorgsky. 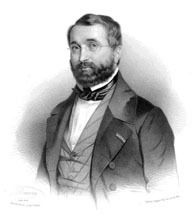 The Nationalist position was set forth by Rimsky's older contemporary, Glinka, who divided his attention between subjects of Russian history on the one hand, and legend on the other. Rimsky-Korsakov appeared to satisfy what interest he had in history by working with other composers on such projects. When it came to his own music, he was inspired almost exclusively by legend and fantasy. One of the peculiarities of "The Five" is that they were all amateurs, earning their living (at least initially) through other means. Rimsky was a naval officer who wrote much of Russia's first symphony while on duty with the Tsar's navy in England. Perhaps it was because they had to earn a living first, and composer second, that so many of their works had to be finished by someone else; they collaborated often with each other. Initially, all of them disdained serious study of musical theory, but Rimsky-Korsakov, in his memoirs remarks on having the good sense to review his notations regarding the importance of theory, and re-energize his career. Of the lot, Rimsky-Korsakov developed the most as a theorist, and his writings on orchestration are still revered. Among his students were Arensky, Ippolitov-Ivanov, Lyadov, Stravinsky, Prokofiev, and Respighi. The opera Christmas Eve was written mid-point in his career, and he often spoke of it as one of a group of three operas (the others being Mlada and Sadko), which formed a turning point in his development as an operatic composer. Sadko, for the first time (in Rimsky's opinion), combined faultlessly the textual content with the musical expression. He had based Christmas Eve on a text by Gogol ... a text with light-hearted wit. Those elements that appealed most to Rimsky-Korsakov were the mystical or fantastic ones, which he then exaggerated. In retrospect, he thought he had made a mistake in doing that, but at the time he was so enamored of the fantastic that he got carried away. Gogol's story concerns a village lad, Vakula, whose girlfriend agrees to marry him only if he performs what she considers to be an impossible task: to bring her the slipper of the Tsaritsa. The Devil sets up all sorts of obstacles for Vakula, but is outwitted, and the latter persuades the Tsar to give him the slippers, after which he wins his bride. The Polonaise heard today comes near the end of the opera, when Vakula is welcomed into the Tsar's palace. The work begins tutti (full orchestra) in grand manner, with the brass soon emphasized. Rimsky-Korsakov earlier had too great a fondness for the brass, and remarks that he and Borodin much improved Borodin's Third Symphony when they reduced the brass in that composition. Here there is justification for it, and the trumpets peal out in fanfares. The opening theme is followed by a motif already made familiar to hearers of the complete suite in the ride on the Devil's back to the palace of the Tsar. Hereafter, the two themes alternate, interrupted by a soft middle section emphasizing the woodwinds. The work ends with a dramatic accelerando of the principal theme. 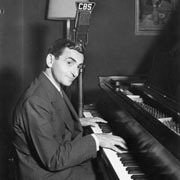 Israel Isidore Baline (better known as Irving Berlin) was born in Russia and arrived in America at the age of five. I open my comments with that introduction because it strikes me, and countless others, that from the beginning, Irving Berlin became the most American of composers. He was very conscious of that, and took great pride in it. Berlin wrote at least 1500 songs, among which are God Bless America, Easter Parade, No Business Like Show Business, Alexander's Ragtime Band, This is the Army, Puttin' on the Ritz, and, of course, White Christmas. He wrote music for nineteen Broadway shows and eighteen Hollywood films. George Gershwin described Alexander's Ragtime Band as "the first real American musical work," and Variety said that he was "one of the greatest lyric writers America has ever produced." White Christmas holds the world record for record sales, as sung by Bing Crosby, with over one hundred million records sold. It was introduced in the 1942 film, Holiday Inn. That year, Berlin was a presenter at the Oscars, and opened the envelope to discover that the Oscar for "Best Music in an Original Song" was for White Christmas. That was such an awkward moment for him ... to present the award to himself, that the Academy changed the rules so that such an event would not happen again. White Christmas was written while Berlin was living in La Quinta, California, and its opening verse, which is usually omitted, refers to the heat and palm trees outside his studio as he longs to be up north with the snow coming down. During the First World War, Berlin thought that Tin Pan Alley should aid the war effort by producing patriotic music, and "...show our appreciation to America for opening up her heart and welcoming every immigrant group." He co-wrote a song, Let's All Be Americans Now, a sentiment we can certainly applaud today. This work consists of an orchestrated series of traditional Christmas songs into what has been called a "concert overture," beginning with Joy to the World and ending with Jingle Bells and O Come, All Ye Faithful. See further material on Leroy Anderson elsewhere in these notes. Alan Silvestri is a prolific composer of film scores, and surely all of you have heard his music. Among his film scores are Forest Gump, Back to the Future I, II, III, Castaway, Who Framed Roger Rabbit, Death Becomes Her, Contact, What Lies Beneath, Romancing the Stone, Cat's Eye, Fandango, The Abyss, Father of the Bride, The Bodyguard, Blown Away, Richie Rich, Judge Dredd, Stuart Little, The Mummy Returns, and, of course, The Polar Express. I could have gone on, but I'm low on ink. The music for those movies is mostly orchestral, but he has also worked with electronic music in such films as The Clan of the Cave Bear, The Delta Force, No Mercy, and The Flight of the Navigator. Alan Silvestri was born in New York City and grew up in nearby Teaneck, New Jersey. Unlike so many successful composers, he did not come from a very musical family. He says that his family was "not interested in music." He began to show an interest in drums when he was three (but who didn't?). Some people credit this early interest in drumming to his notable sense of rhythm in his later years. By the time he was in high school, he had taught himself to play a number of instruments, but mostly the guitar. He ascribes his career in films to an accident. He and his jazz band thought they had a contract, with turned out to be a fraud. To extract themselves, they went to Hollywood, where they made contact with a friend who wrote lyrics for some well-known performers. The friend got a phone call from a low-budget producer who mistakenly thought the friend was a composer instead of a lyricist. The friend put the caller on hold and asked Silvestri if he wanted to do a film score. The deal was made. Silvestri was twenty years old at the time. Having had no experience in composition, Silvestri went to a bookstore and bought a book called How to Score a Film. He spent the night reading it, and met the director the next day. He was given two weeks to score the film. The result was a film called The Doberman Gang, and it received fairly good reviews. Silvestri's career was launched. 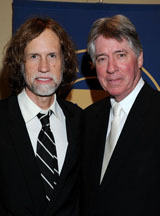 Silvestri composed the music for Disney's A Christmas Carol while Glen Ballard wrote the lyrics. Ballard was born in Natchez, Mississippi, and is a song-write and producer of some repute. He is the founder of Java Records. He won the 2006 Grammy Award for "Best Song Written for a Motion Picture" for the song Believe from The Polar Express. He was also involved with the recording and writing of Michael Jackson's Thriller, and Bad, as well as for co-writing and producing Alanis Morissette's Jagged Little Pill, which won a Grammy for "Best Rock Album" in 1995. This group of Christmas songs includes Jingle Bells, Joy to the World, It Came Upon the Midnight Clear, Hark! The Herald Angels Sing, Silent Night, Away in a Manger, Deck the Halls, and O Come, All Ye Faithful. Leroy Anderson was born in Cambridge, Massachusetts, in 1908, and died in Woodbury, Connecticut, in 1975. He studied composition at Harvard with George Enesco and Walter Piston. Anderson became very active in musical circles. He was chairman of the Board of Review of the American Society of Composers, and was a board member of the New Haven and Hartford symphony orchestras. He was a linguist, fluent in nine languages, but specializing in German and Scandinavian ones. He served with U.S. Intelligence in Iceland and in the United States during the Korean War in 1951. He was stationed at Fort Bragg in North Carolina. While working there in Military Intelligence, he found time to write several of his most popular works, such as Blue Tango. I was stationed at Fort Bragg at the same time as Anderson, in Counter-Intelligence, also working as a linguist (but with not as many languages!). Anderson is best known for his attractive melodies and jaunty rhythms in such pieces as The Syncopated Clock and Sleigh Ride. He was also notable for his use of unconventional instruments, as in The Typewriter and The Sandpaper Ballet (yes, a typewriter and sandpaper were both used as instruments). Anderson had been discovered by Arthur Fiedler, director of the Boston Pops Orchestra, and was championed by Fiedler, who invited him to conduct his own works with that orchestra. When he conducted The Typewriter, he did so wearing a green visor, with his sleeves rolled up, and pretending to be typing in time with the music. 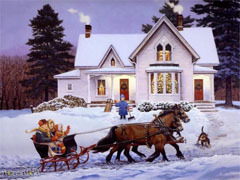 Sleigh Ride is perhaps the most often performed Anderson work. 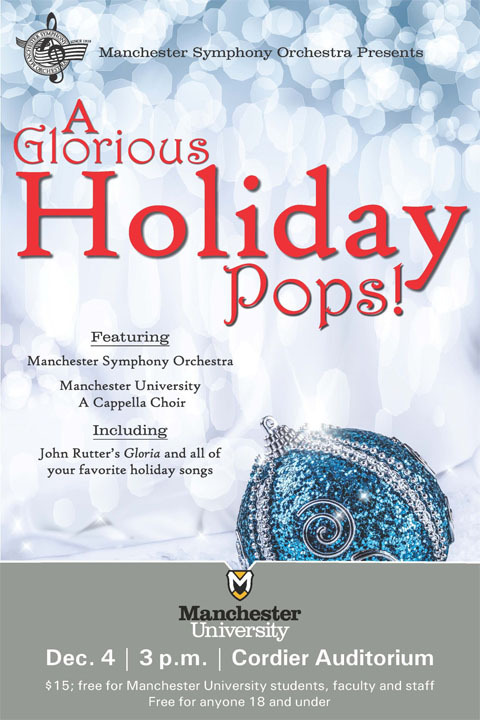 The Manchester Symphony Orchestra plays it very often during the holidays. Like so many successful composers, Adam was born into a musical family. At least his father was musical, a professor at the Paris Conservatory. Young Adolphe was a bit of a cut-up, and his father didn't think he was cut out to be a serious student and composer. When the young man was 17, his father permitted him to enter the Paris Conservatoire, on condition that he study music only for his own amusement and not for a profession. Adam ignored his father, and continued to work within the profession and gradually achieved some stature as a serious composer. He is best known for the ballet Giselle. To the average person, he is probably best known for a Christmas carol, Cantique de Noël, which we know as O Holy Night. It was based on a poem by M. Cappeau de Roquemaure, and later translated to English by the Boston music teacher and music journalist, John Sullivan Dwight. This popular Christmas song was written by a Ukranian composer named Mykola Leontovych. He was born into the family of a priest, and had no formal training in composition until some years after his graduation from the seminary. He is said to be Ukraine's most popular composer. He was primarily a choral composer. In mid-career he departed radically from traditional notions of arrangement. According to biographer Bogdan Likanyuk, "The change is reflected in the selection of songs and themes, all within the boundaries of a single eastern Volhynian-Podolian musical dialect, and in the texture, an original fusion of Ukranian folk polyphony (with its improvised inner parts) and the devices of contrasting and imitative counterpoint." If you expect me to explain that, dream on! We are to hear the arrangement by Rick England, which, according to one critic, has more to do with Dave Brubeck than with Leontovych. Rick England was named "Teacher of the Year" by the Arcadia Rotary Club. England was a favorite teacher in the Arcadia Unified School District in Arcadia, California. This holiday favorite was introduced in the 1944 MGM musical Meet Me in St. Louis. It was sung by Judy Garland in that film, and was later recorded by many popular singers. This version was orchestrated by Calvin Custer. Custer was a very prolific arranger and played numerous instruments, which no doubt was a great asset when orchestrating other composers' works. He graduated from Carnegie Mellon University and Syracuse University, an institution with which he was associated for many years. He was the first musical director of the Syracuse Symphony Orchestra, as player, arranger, and conductor. His arrangement of Have Yourself a Merry Little Christmas had great success, and was released on a CD in a performance by the Boston Pops Orchestra. John Rutter may be today's most popular choral writer. Heard frequently on National Public Radio are his short works Hymn to the Creator of Light, For the Beauty of the Earth, and All Things Bright and Beautiful. Born in London, he had his first musical training as a choirboy at Highgate School. He went on to study at Cambridge (Clare College) where he was publishing and recording while still an undergraduate. While at Clare College, he became acquainted with the King's College Choir (King's College is next door to Clare), and that experience shaped his career. He wrote many works for that choir, and says that he has their sound in mind even when writing music commissioned by others. He was encouraged by the directors of that choir, and in 1975 he became its director. He gave up that post in 1979 to devote more time to composing, and subsequently founded the Cambridge Singers, for whom he has written many works. Gloria was commissioned by the Voices of Mel Olsen, Omaha, Nebraska, and was directed at its premiere there in 1974 by Mr. Rutter, himself. Rutter's work is melodious, tonal, and very appealing. The Gloria reminds one of the music of a fellow Englishman, Sir William Walton ... specifically of Balshazzar's Feast with its dramatic fanfares and dotted rhythms. It is in the grand tradition of English choral music, but with occasional touches of Bernstein (listen for this reference in the final movement -- think Chicester Psalms). Although Rutter eschews the atonality common to much modern music, his use of syncopation and complex rhythms mark it as music of the twentieth century. A "Gloria" is, or course, part of the Ordinary of the Mass, and has been set to music by hundreds of composers throughout the ages. Rutter says that he based his setting "on one of the Gregorian chants associated with the text." It is in three movements: Allegro Vivace, Andante, and Vivace è ritmico.